You can chip in with the Crowdsource app. 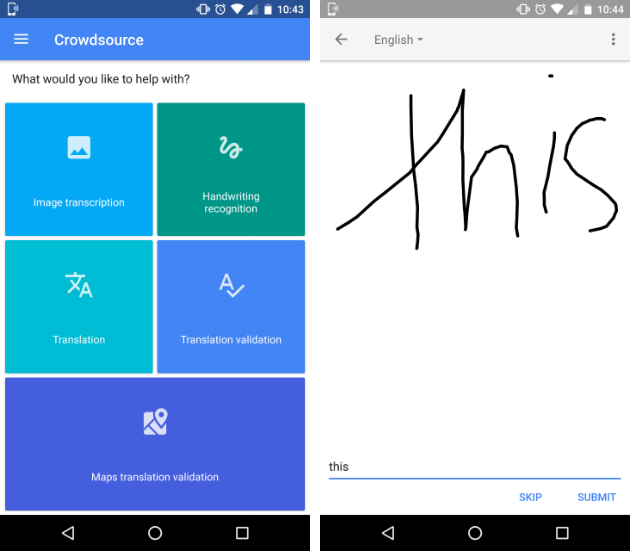 Google's ability to interpret and translate handwriting isn't perfect. Sometimes you'll scribble a word or take a photo of a restaurant menu on holiday, only to have a garbled mess thrown back at you. 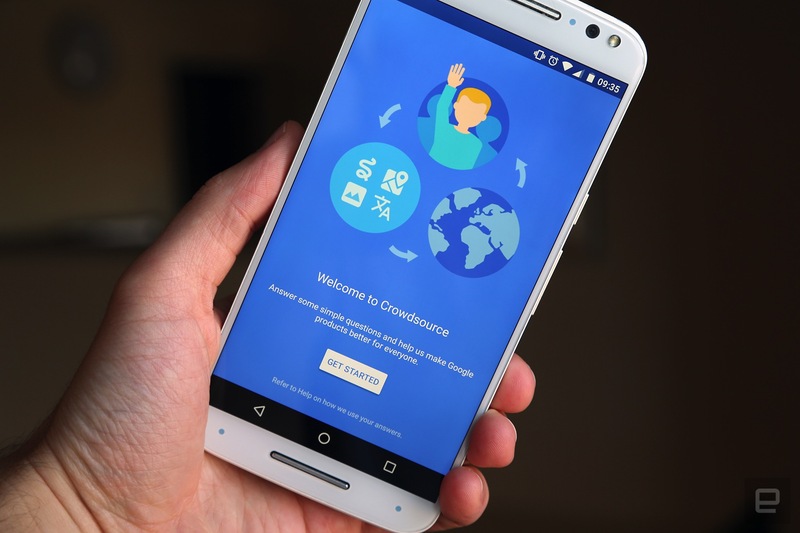 To help its "smart" assistants and services, Google has released a new app on the Play Store called Crowdsource. It's a bare-bones affair, asking you to transcribe digital squiggles and photographed road signs. There are no discernible rewards, only the occasional message ("you're great!") and meaningless 'milestone' when you've completed a certain number of tasks. In short, you'll need to really love Google to open the app more than once. The app, of course, is still hugely beneficial to Google. Any submissions -- no matter how few -- can be fed into its algorithms and used as a foundation for better, more accurate translations and analysis. The subsequent improvements should trickle down into Maps, Translate, Photos and conversational services such as Google Assistant. It's just a shame the company hasn't integrated some form of reward system -- something similar to Google Opinion Rewards or the Google Maps Local Guides program would go a long way to incentivizing contributions.